See You Soon In Prague, John Newman? 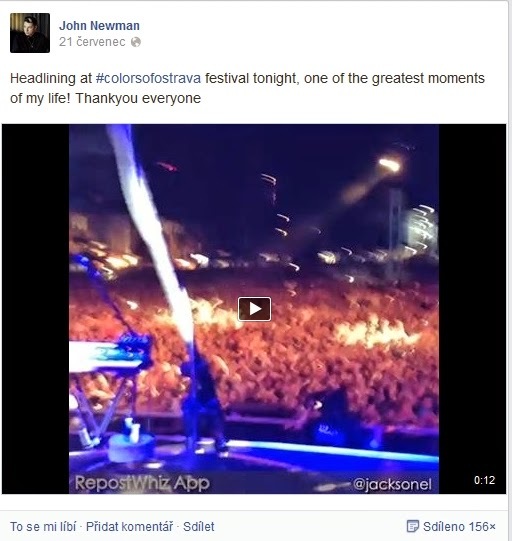 As I have already mentioned, John Newman blew my mind on Colours of Ostrava (20.7.2014). I knew he was a talented singer and enjoyed his album but WHAT a performer he is! Bravo! Thank you. Hope he won't forget his Czech fans and makes a concert here soon.